Flutter P waves make the baseline of the ECG resemble a sawtooth pattern. They are caused by Atrial Flutter. What is the cause of this patient’s inferior ST depressions? 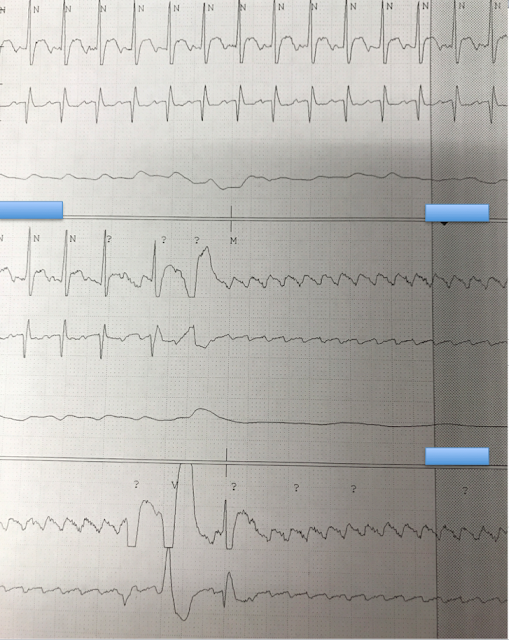 What happens when you give adenosine to a patient with this rhythm?